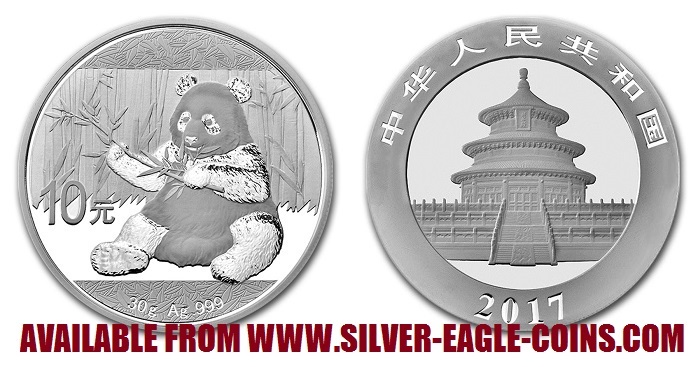 The Silver Eagle Coin Company is pleased to offer mint fresh 2017 Chinese Silver Panda Coins. The 2017 silver panda featured an all new design with a lone chubby panda enjoying some bamboo. The Chinese silver panda coins are truly works of art and considered by many to be one of the most beautiful silver coins ever minted. In 2016, this series changed to the metric system with the weight of the coin revised from 31.1 grams (1 ounce) to 30 grams (0.9645 ounce), still containing .999 fine silver. Each coin comes in its original mint capsule from the Chinese Mint. Each coin is brilliant uncirculated with a gorgeous "proof-like" finish. The background has a brilliant mirror finish while the images are heavily frosted. Each coin contains 30 grams of 0.999 pure silver, with a 10 Yuan face value per coin -- making it a "legal tender" coin in China. Obviously, the face value is largely symbolic since the intrinsic silver value and collector value is much greater than the face value. 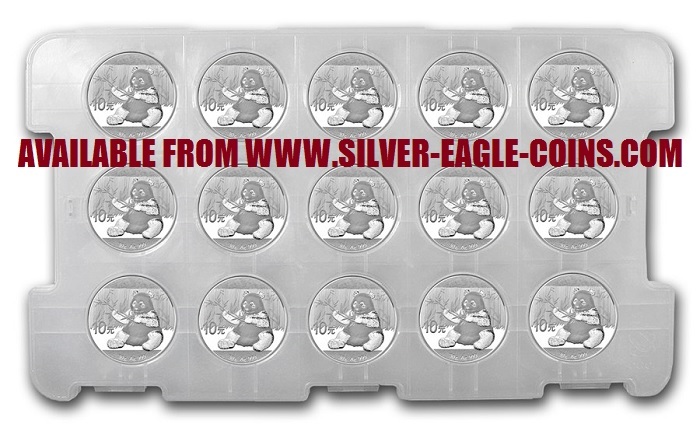 Copyright © 2017, Silver Eagle Coin Company. All rights reserved.